It's almost that time of year again, where a fresh crop of Japan-hopefuls are sending in their applications for the Japan Exchange and Teaching Programme, one of the most competitive teach-away programs out there. It's funny, because I attended the farewell reception for the 2012 JETs just a couple of weeks ago, and now here we are starting another application cycle - the process is so lengthy that it takes almost a full year to go through. There is plenty of information out there on the steps to applying for JET, starting with the official website, and many, many blogs to help applicants through the process. Rather than rehashing all that, I'm planning to share my own experience and tips over a small series of posts. 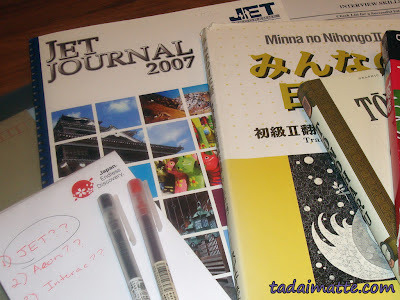 My first exposure to JET was in my first-year Japanese class. An alumni (I wish I knew his name!) came to visit us and share his experience teaching in Japan. 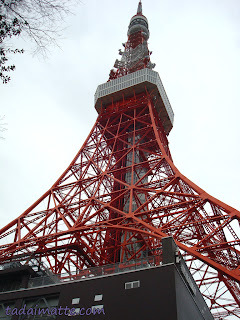 Though I'd been studying for at least half a year at that point, I had never really considered actually living in Japan. After all, I'd studied French since fourth grade and was in no way inclined to pick up and move to Quebec (though, ironically, I've considered Montreal fairly recently!). After this presentation, though, I really began to think that this was something I wanted to try, so after I graduated, I took on a retail job for the summer while I prepared to apply for the JET programme. My backup plan back then was Aeon and then Interac, two well-known eikawa schools that were far less competitive, but weren't nearly as highly-recommended (or well-paid) as JET. At one point, I even considered NOVA - just a few months after I arrived, however, the company went bankrupt and completely wrecked everything for their ALTs. I was so very glad I'd chosen the JET route, after that. Of course, since the application requires a transcript and diploma, you cannot apply in your final year of university - you must have your diploma in hand by November, so I'm certain many JET hopefuls are discouraged by this - I know I was, but working during that year between graduation and departure did help me prepare financially for the cross-country move. I consider myself very fortunate still to have made it on the program and gotten not only my first choice of prefectures, but a very high-demand placement, at that. (More on that in another post, for sure!) So what advice do I have to offer for someone wishing to teach in Japan? First of all, there's no question that JET is the way to go. I met so many ALTs in and out of Osaka that I can safely say my "first choice" was the better choice, even though there is a lot of work involved to go through the above process. JETs are well taken care of, frequently receive stipends and other benefits from their prefectures (unless you're in Osaka, heh), have plenty of vacation and sick days, don't have to worry about finding or stocking an apartment, and are paid much better than eikaiwa ALTs. The JET name is also really worth something when you return and the networking is fantastic. Not to say that the other options aren't good - they certainly are, according to many of my friends; Shelley and Angie were both NETs and now my friend Nicole (of the Irish Chocolate story) is back in Japan teaching under another program as well. There are many routes you can go if you aren't accepted on JET or don't qualify, but if you have the time and the skillset for the Japan Exchange and Teaching Programme, I'm always going to recommend that you try that first. In the next post on this topic, I'll talk about the JET application and share some tips on writing it to really showcase the skills CLAIR is looking for. Keep an eye out for that post sometime in September!